The relationship between archaeology and conservation has been complex and, at times, challenging. Archaeologists are often seen as interested principally in excavation and research, while conservators are concerned mainly with stabilization and the prevention of deterioration. Yet it is often initial conservation in the field that determines the long-term survival and intelligibility of both movable artifacts and fixed architectural features. 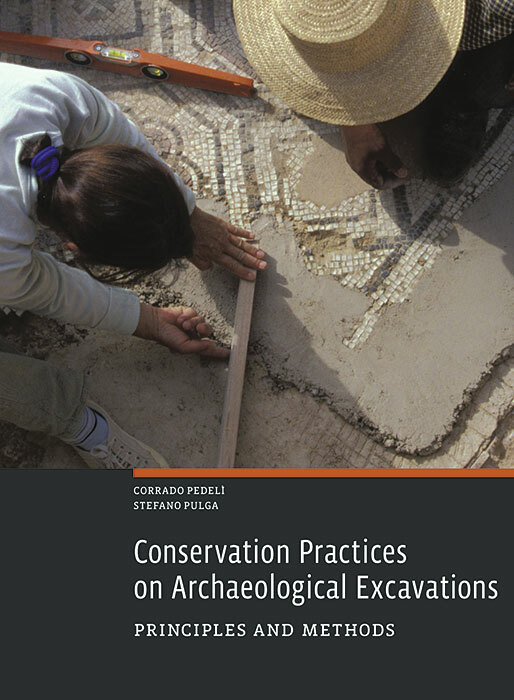 This user-friendly guide to conservation practices on archaeological excavations covers both structures and artifacts, starting from the moment when they are uncovered. Individual chapters discuss excavation and conservation, environmental and soil issues, deterioration, identification and condition assessment, detachment and removal, initial cleaning, coverings and shelters, packing, and documentation. Corrado Pedelì is senior conservator/restorer with the Superintendence for Cultural Heritage of the Aosta Valley Regional Administration in Italy. Stefano Pulga is a freelance restorer based in Aosta. Erik Risser is assistant conservator in the Department of Antiquities at the J. Paul Getty Museum.